A while back I completed my first ever pastel drawing. If you follow me on Facebook then you’ve already seen this image. But for those of you who don’t have a Facebook, here it is! 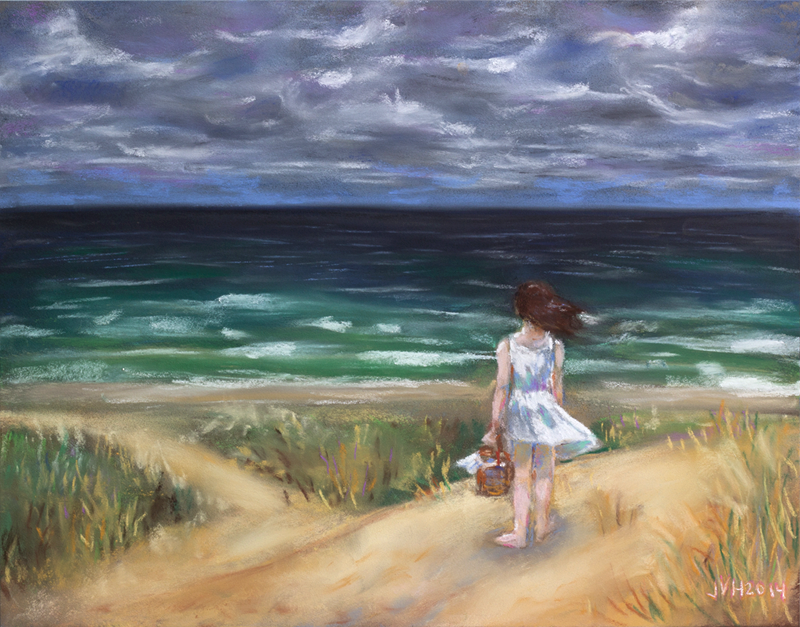 It’s a girl at the beach with her basket, looking at the waves and intense sky. It’s based on a location in Saugatuck, MI. This drawing is already framed and ready to sell! It would make a great addition to your cottage or beach house! Message me if you’re interested in owning this original artwork.